When you are working across multiple different locations, communication can become a big problem. And we all know that this is one of the hallmarks of a successful company. Businesses that were once successful in a single location can quickly start to fall apart when a new office is opened or there are remote workers that you need to get in touch with. Let’s take a look through five of the best ways that you can encourage good communication between workers, regardless of where they are located. Communication continues to shift and adapt at a rapid rate, so it is important that you utilise the most effective tools at your disposal. While emailing and phone calls are traditional and still useful, there are plenty of more efficient tools out there. If you can connect your WiFi up with GNS Wireless Bridge Kits, you have a good headstart. Instant communication channels like Google Hangouts and video conferencing facilities like Skype allow direct and efficient communication, so choose the ones that are best for you. However, you don’t want to open up too many methods of communication or this could become confusing and overwhelming. Ask your employees to provide feedback so you can work out what works for them best. Once you have selected your preferred methods of communication, you can create and issue guidelines to your employees that provide them with more information. For example, you may want files to be transferred using a specific file-sharing application rather than via email. You may want to tell employees to use instant messaging for quick questions and emails to convey more information. Creating these guidelines helps to ensure that all employees are, quite literally, on the same page! Even if employees are working on the other side of the world, face to face communication is possible via Skype and other services. This can be an invaluable tool for the sharing of information, so setting specific meeting times ensures that everyone can be online at the same time, which saves the frustration of delayed responses. Try to set times that work for everyone and inform everyone well in advance so they can rearrange their plans if necessary. Flexible working is becoming increasingly common in today’s economy, and it helps to ensure that businesses are never completely ‘closed’. 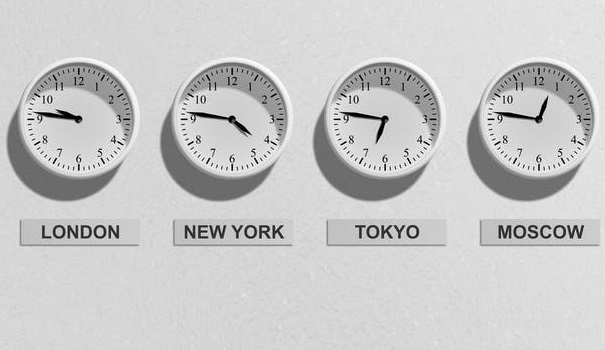 However, managing employees who work in different timezones can be a challenge, so you could set some core working hours when people are available for direct communication. Beyond this, flexibility is often a good thing that many modern workers and businesses benefit from. These are just a few ways in which you can smooth the lines of communication when you work across multiple offices or even multiple timezones. Though the internet has opened up a whole range of communication methods, you need to make sure that they are all used effectively. I hope you enjoyed this article about the art of improving office-to-office communication. Interested in more articles about business communication?